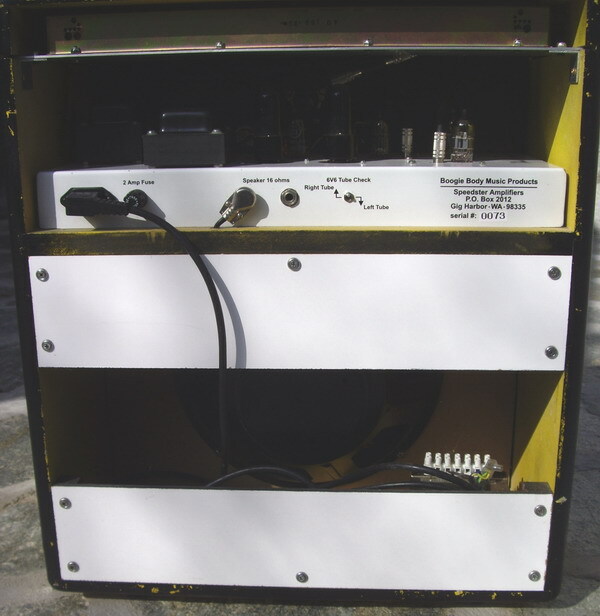 Early example of the 25 watt Class A Speedster combo containing one 12" Eminemce speaker. The look of a speedster is like a Yellow 1950’s race car, the sound is fat and warm with plenty of high end bite. These amps are built in the traditional style and have a truly distinct sound that allows the player to create the tone they want for their stye of playing. 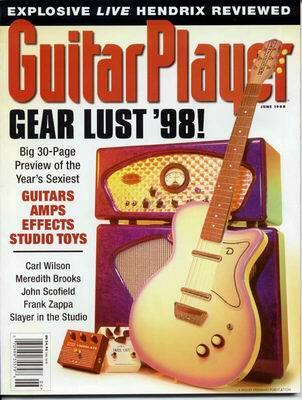 Given its great clean tones it responds very well to chains of effects and pedals. 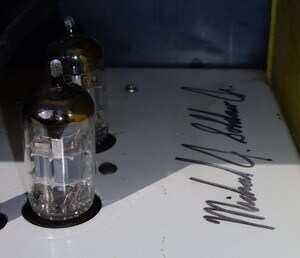 This amp is hand signed by Michael Soldano and in great condition. The beautiful "hot rod" looks of the turned aluminum panel, face mounted meter and roadster looking speaker grill, motivated our decision to name this classic and stylish amplifier "Speedster Deluxe". 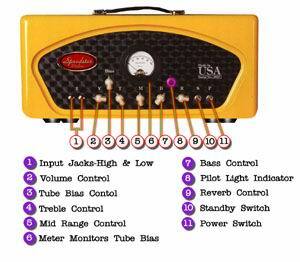 A potentiometer (1 turn) mounted next to the meter allows the player total control over the tonality and response of the amplifier. This gives an infinite tonal variety for experimentation. 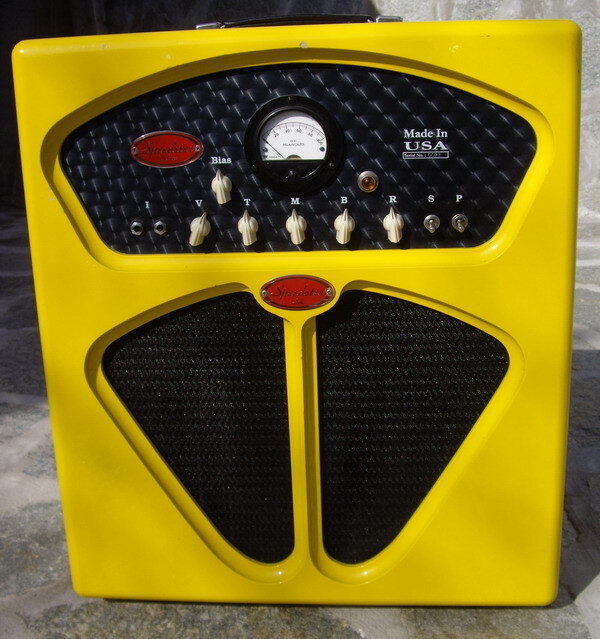 Other amplifiers have their tubes bias set at the factory that "locks in" the characteristic sound and response of a particular amp. 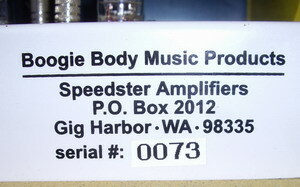 This feature alone sets the "Speedster Deluxe" apart from any other amplifier in the world, not to mention it's awesome looks and unique circuitry.